PGL provides advanced transportation solutions and planning to many of Israel’s largest and most important industry leaders, such as the Ministry of Transport, National Transport Infrastructure Company, Cross Israel Highway Company, Ayalon Highway, NTA Metropolitan Mass Transit System, Israel Land Authority, Israel Railways, many municipal authorities and much more. 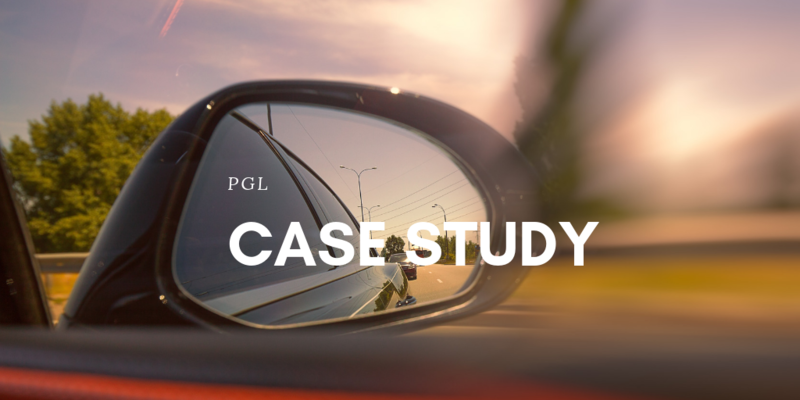 With such demanding, fast-paced clients, PGL does not have time to spare. Recently, PGL was hired by the Ministry of Transport to update the National Transportation Trip Production, Attraction and Modal Split Guidelines, which are used as the main tool for long-term transportation planning purposes. In the past, the updates of the guidelines for these impact analyses were done by performing manual calculations and evaluations by PGL mathematicians and transportation planning experts. This required qualified staff and the evaluation of all options was challenging and time consuming. A few months ago, PGL acquired a license to the DMway‘s automated machine learning platform. Now, the process is much more efficient since most of the statistical tests are done automatically. 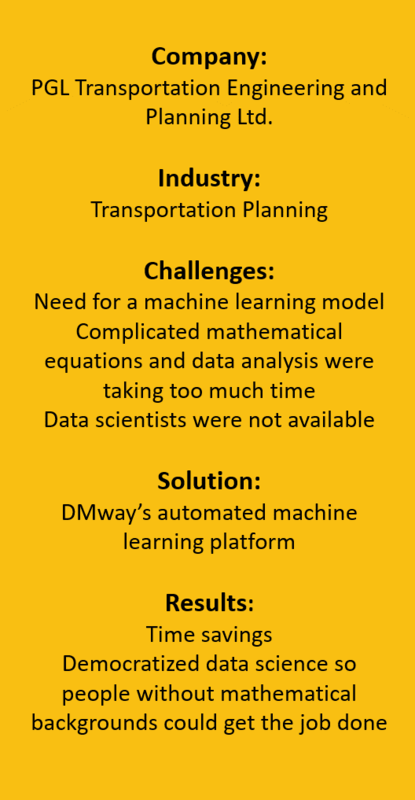 “DMway provides us with quick insights,” said Ashbel. “It has saved us a lot of man hours.” Moreover, he said you don’t need to be a mathematician to use the tool. “DMway’s solution allows us to perform initial data analysis easily while providing quick and reliable results,” he said.